Here is a great no-fuss way to use that kale in your fridge. Pestos definitely appear more during the summer when basil is in season, but using leafy kale and pumpkin seeds is a way to adjust it for the winter months. To make, add ingredients to a food processor and blend to desired consistency. 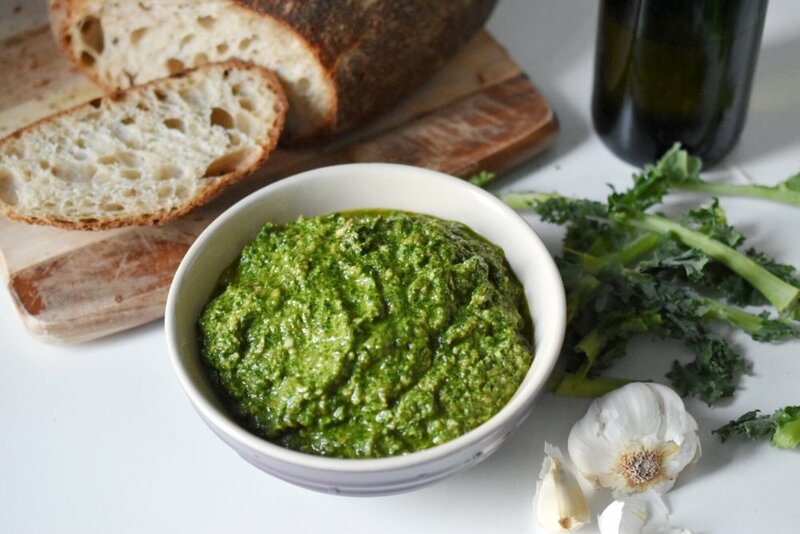 Keep in mind that this pesto freezes well, so you can always make extra to keep on hand for simple meals that are still delicious.